Once more unto the KDE topic my friends, once more. This time, however, we take a look at a very useful feature that allows you to easily share out folders with a few clicks. These folders will be shared with the help of Samba and not a single line of a configuration file will have to be edited by the user. It's a pretty sweet feature, so let's start sharing. If you do not already have those pieces of the puzzle installed, do so and then start Samba with a command similar to sudo /etc/init.d/samba start. The full path to the samba executable will depend upon your distribution. Share this folder in the local network. Under SAMBA options you can then give the share a name and decide if you want the folder to be Public and Writable. When you click OK you will be prompted for your sudo (or root) password. If you click the More Samba Options you can fine-tune the share. Just make sure that you know Samba well before you attempt to handle any of these options. If you make one wrong configuration in this section you can fubar your Samba install and have some serious troubleshooting on your hands. Once a folder has been shared, the Dolphin icon will change. 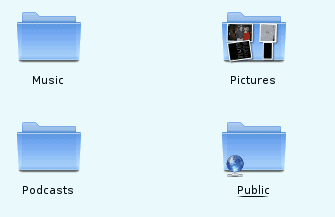 Figure 2 shows four icons in the file manger. The Public folder has been marked as "shared". Now go to another machine (a Windows machine will do) and see if this share is showing up. If it is not, you might have to restart Samba. But before you restart Samba, give the newly shared folder a moment to show up. If you have problems writing to this newly shared folder, most likely the issue is permissions. Before you go to the More Samba Options section, first check the permissions of the directory itself. Make sure that both Group and Others have writable permission to the directory. You can do this from the Permissions tab in the Properties window (see Figure 3). Once you taken care of the folder permissions, your users should then be able to read and write to that shared folder. Make sure the folder you are sharing out doesn't contain any sensitive data you wouldn't want other users to see, edit, or delete. And, like any folder sharing situation, make sure you are on a nice secure network before you start sharing out folders. Many people probably never thought they'd see the day when sharing out folders in Linux was as easy as it is in other operating systems. That day has finally come with the help of Samba and KDE 4.4. Still, you had to install several components (or at least check if installed) and start samba from command line. In what other modern operating system you have to do that? Why doesn’t Doplhin offer tools to enable sharing and install required components if missing? Do’nt get me wrong, I use linux daily and like it mainly for it’s freedom (from MS). We can not necessary expect a totally free (of payment) software to have it all, I just wish we were honest and admit where there is still work to be done. @Zaris – Don’t get me wrong. I wish things worked the same way in windows. I wish I had to restart my entire computer because I added a new shared folder. We just need to admit that sometimes its easier to just tell people to restart their whole machine after a few minor changes. Are you kidding??? Sharing folders in Windows is a 5 hour 150 step process that STILL doesnt work 50% of the time when completed properly. Even the HARDEST method for sharing files under GNU/Linux is 10 times easier than it is in Windows! Will interpret/display index.html, if present. Have not tested other indexes. be greater than 1023, else “permission denied” (unless run with ‘sudo’). I’m not entirely sure I understand “still you had to install something” because that is always true, whatever you are using. What would be equally true, is they had already been installed when you installed the distro. Oh, hang-on, I knew there was a weakness in my argument, MS Windows comes pre-installed on the majority of the world’s computers, which means that the “you had to install something” trumps everything. Can’t recall what distro I tried this on, maybe Mandriva, maybe Kubuntu, maybe openSUSE, but I didn’t need to install or start anything, it popped up a dialog saying it needed to install stuff and asked for my root password. No mess, no fuss. When someone installs ubuntu, it’s looking for “easy”. it should say something about “install samba” at least…. If I want hard, I could install freebsd, or gentoo… And read several logs. In Ubuntu/Gnome desktop it’s indeed popping up to install samba etc if it’s missing. In Kubuntu/KDE Desktop it doesn’t, so I gave up on using samba on KDE. Well i tried it and got it working indeed. However i think one piece is missing in the post about start sharing. First you get to configure it for who can use filesharing and that’s were you need sudo rights. After that is done, you can follow the rest of the post about fintuning etc. Well it’s now 2016 and with KDE 5.X you still have to do all this jest to share a folder quick, really ridiculous, yeah I want to run a samba server on my desktop yeah why not a nfs server too,what a joke. “KDE = FAIL” Yes this is 100% ridiculous I did all the steps don’t work hour # 2, man not even a quick easy click click NFS share, Hum. setting samba shares up manually works fine, who ever made the package kdenetwork-filesharing should be kicked from the KDE development team.